Home textile products are the textiles which is used for home furnishing purposes. It is also an application of textiles in household purposes. Home textile products are nothing but an internal environment of home, which deals with internal spaces and their furnishings. The re are different types of home textile products like aprons, Towels, bedding and furnishing. Generally, The Export World is a leading Home Textile Products exporter, manufacturer, supplier and wholesaler in India. Our Home Furnishing Products are Cushions, Cushion Covers, Curtains, Chair Cushions, Table Runners, Table Cloths etc. Beddings are Bed Covers, Bed sheets, Duvets, Duvets Covers etc. 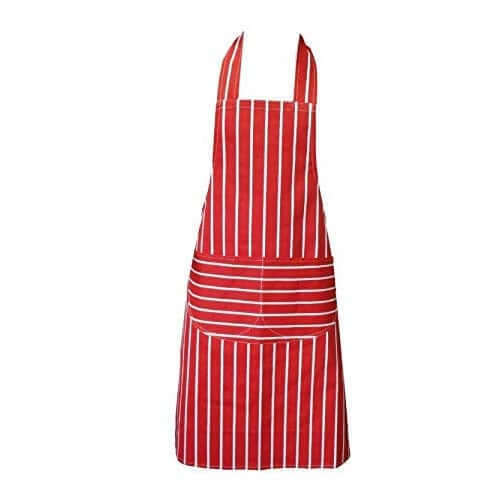 Our Aprons collection are Kitchen Aprons, Printed Aprons, Restaurant Aprons etc. There are different types of Towels like Bath Towels, Tea Towels, Kitchen Towels, Spa Towels, Sports Towels, Besides, we are also exporter and manufacturer of Beach Towels, Face Towels, Hand Towels, Hotel Towels, Salon Towels etc. We are a leading aprons manufacturer and exporter like housekeeping Aprons, jute Aprons, Kitchen aprons, restaurant aprons, printed aprons etc. Professional housekeeping aprons show that your employees are part of team. Kitchen Aprons prevent the risk of getting infected. The simple step of wearing an apron can go a long way in reducing this risk. In addition, apron prevents your clothes from coming into contact with the food, germs, dust, hair, etc. The Printed Aprons serves as a barrier to prevent microorganisms to some extent, but also physical contaminants like hair, dust, and dirt. The Restaurant Aprons serves as a barrier to prevent microorganisms to some extent, but also physical contaminants like hair, dust, and dirt. Restaurant Aprons require who handles food or works in a food preparation area. Aprons are a food safety tool like any tool. You can keep clean your dress when you are working in a restaurant. Generally, we always want to decorate our bed rooms with perfect bedding. Bedding enhance interior look of our bed rooms. Bedding is most important home textile products. 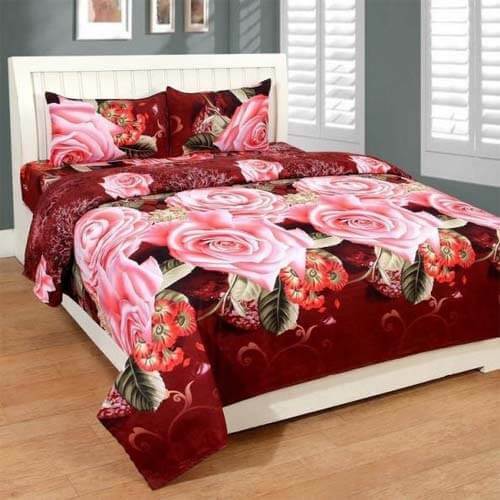 On the other hand, there are different types of bedding like Bed Covers, bedspreads, bed skirts, etc. Actually, Bed Skirt is that it gives you an opportunity to hide many unnecessary things right under your Bed without anyone ever getting to see them. Bedspread is also a lightweight, decorative bed covering that you can use alone in warm weather or cold weather. Comforters are thick, quilted, fluffy blanket which you can use to keep you warm. We use bed sheet to cover Mattresses. Duvet is thick, quilted, fluffy blanket that we use to keep you warm. Duvet Covers are the protective layer that you can use with your duvets. Mattress is the large, flat object which is put on a bed to make it comfortable to sleep. Pillows are use to support body and head .Pillow covers are used to protect pillows. We are leading manufacturer and exporter of furnishing products in India. Furnishing is most important home textile products.There are lot of furnishing product like chair covers, chair pads, Cushion covers, Cushions, Curtains, Table Clothes, Table Runners, Table Skirts, Tapestries. You can furnish your home with the products. In addition, it will improve your satisfaction level and also improve your interior design. At the same time, you can use furnishings products in hotels, hostels, hospital and many more. They contribute great appearance of the room, by its colour, pattern and texture. Chair covers are the protective layer that you can use with Chairs. Chair Pads will help to guide our bodies to the correct position. A quality Chair Pads will help to distribute weight, good blood circulation. Adding Chair Pads to your office chair can help reduce the strain on your neck and back after an eight-hour day at work, making these the ideal comfort boosters. Cushion Covers are the protective layer that you can use with Cushions because Cushions is expensive and difficult to clean. On the bed, you have the pillows. Apart from that, you can decorate cushions. We all like to recline and rest when we are reading for pleasure. So, back-support cushions like these are very useful for reading chairs. Curtains may help to regulate the amount of sunlight getting into your home. Enhances the beauty of your home. You can improve your home interior design using the right Curtains. Table runners also protect your table from spills and damage. 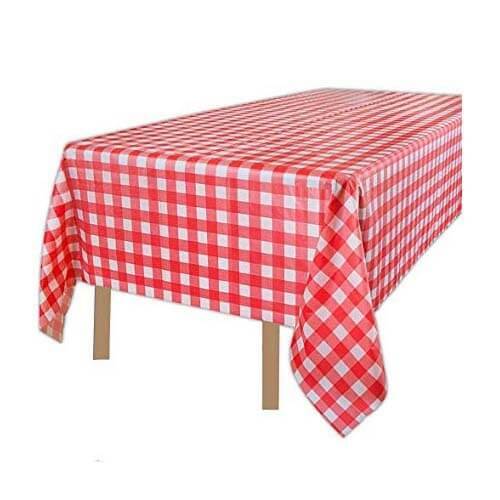 Tablecloth is a cloth used to cover a table. Table skirt gives you an opportunity to hide many unnecessary things right under the table without anyone ever getting to see them. Lastly, we can use tapestries as wall decoration. We are manufacturer and exporter different types of towel exporter like Bath towel for drying your body. Beach towel is when you are going to a beach. You can use Tea towel in the bathroom as guest towel, for drying your hands, as a napkin. Kitchen towel is for drying up Spills, liquids, cleaning and drying dishes, hands, vegetables, herbs, etc. Pool towel can use for drying or wiping a body or a surface. Salon towel can use in salon. Spa towel provide the ultimate comfort for your guests relaxing at the spa. If you are going for a run or playing tennis through all athletic activity need a sports towel. Generally, People who work out at the gym should use Gym towels when they are on shared exercise equipment to reduce the spread of any bacteria. In addition, Use your Gym towel to wipe the sweat off your face and body. You can use Hotel towels to dry yourself, dry your hands, as foot mat to step on after getting out of the shower/bath as a cover for your body/hair. Hand towels are a small towel for drying your hands. You want something small and simple to keep them dry during and after an intense workout. Whether in your hotel restaurant’s restroom or in the lobby restroom, offering a Hand towel is an excellent way to elevate your guest’s experience. Face towel is a small square about the width of a hand used to clean your face. Generally, we always want to decorate our bed rooms with perfect bedding. Bedding enhance interior look of our bed rooms. Bedding is the removable and washable portion of a human sleeping environment. Bedspread is a lightweight, decorative bed covering that you can use in cold weather. On the other hand, Comforters are thick, quilted, fluffy blanket which you can use to keep you warm. We use bed sheet to cover Mattresses. Duvets are thick, quilted, fluffy blanket which we use to keep you warm. Duvet Covers are the protective layer that you can use with your Duvets. Mattress is the large, flat object which is put on a bed to make it comfortable to sleep. You can use Pillows as a head and body supporter. When we rest. We generally use Pillow Covers to protect our pillows.